The Fifth and Fourteenth Amendments to the United States Constitution each contain a due process clause. Due process deals with the administration of justice and thus the due process clause acts as a safeguard from arbitrary denial of life, liberty, or property by the government outside the sanction of law. The Supreme Court of the United States interprets the clauses more broadly, concluding that these clauses provide four protections: procedural due process (in civil and criminal proceedings), substantive due process, a prohibition against vague laws, and as the vehicle for the incorporation of the Bill of Rights. ✪ Clutch, How does it work ? To suppose that 'due process of law' meant one thing in the Fifth Amendment and another in the Fourteenth is too frivolous to require elaborate rejection. The words, "due process of law", were undoubtedly intended to convey the same meaning as the words, "by the law of the land", in Magna Carta. Due process applies to Puerto Rico, although it is not a State. The due process clauses apply to both natural persons as well as to "legal persons" (that is, corporate personhood) as well as to individuals, including both citizens and non-citizens. The Fifth Amendment due process was first applied to corporations in 1893 by the Supreme Court in Noble v. Union River Logging. Noble was preceded by Santa Clara County v. Southern Pacific Railroad in 1886. The due process clauses also apply to non-citizens who are within the United States – no matter whether their presence may be or is "unlawful, involuntary or transitory" – although the U.S. Supreme Court has recognized that non-citizens can be stopped, detained, and denied past immigration officials at points of entry (e.g. at a port or airport) without the protection of the Due Process Clause because, while technically on U.S. soil, they are not considered to have entered the United States. Although the Court has not assumed to define "liberty" with any great precision, that term is not confined to mere freedom from bodily restraint. Liberty under law extends to the full range of conduct which the individual is free to pursue, and it cannot be restricted except for a proper governmental objective. The prohibitions, generally, of the due process clauses apply only to the actions of state actors, and not against private citizens. However, where a private person is acting jointly with state officials in a prohibited action, they are said to be acting under the "color of the law" for the purposes of 42 U.S.C. § 1983. While private actors are not generally held to the actions of private citizens, it remains that private citizens may be held criminally liable for a federal felony or misdemeanor, if they conspire with the government to commit actions which violate the due process clauses of the constitution. Procedural due process is essentially based on the concept of "fundamental fairness". For example, in 1934, the United States Supreme Court held that due process is violated "if a practice or rule offends some principle of justice so rooted in the traditions and conscience of our people as to be ranked as fundamental". As construed by the courts, it includes an individual's right to be adequately notified of charges or proceedings, the opportunity to be heard at these proceedings, and that the person or panel making the final decision over the proceedings be impartial in regards to the matter before them. The Supreme Court has formulated a balancing test to determine the rigor with which the requirements of procedural due process should be applied to a particular deprivation, for the obvious reason that mandating such requirements in the most expansive way for even the most minor deprivations would bring the machinery of government to a halt. The Court set out the test as follows: "[I]dentification of the specific dictates of due process generally requires consideration of three distinct factors: first, the private interest that will be affected by the official action; second, the risk of an erroneous deprivation of such interest through the procedures used, and the probable value, if any, of additional or substitute procedural safeguards; and, finally, the Government's interest, including the function involved and the fiscal and administrative burdens that the additional or substitute procedural requirement would entail." Procedural due process has also been an important factor in the development of the law of personal jurisdiction, in the sense that it is inherently unfair for the judicial machinery of a state to take away the property of a person who has no connection to it whatsoever. A significant portion of U.S. constitutional law is therefore directed to what kinds of connections to a state are enough for that state's assertion of jurisdiction over a nonresident to comport with procedural due process. The requirement of a neutral judge has introduced a constitutional dimension to the question of whether a judge should recuse himself or herself from a case. Specifically, the Supreme Court has ruled that in certain circumstances, the due process clause of the Fourteenth Amendment requires a judge to recuse himself on account of a potential or actual conflict of interest. For example, in Caperton v. A. T. Massey Coal Co. (2009), the Court ruled that a justice of the Supreme Court of Appeals of West Virginia could not participate in a case involving a major donor to his election to that court. In criminal cases, many of these due process protections overlap with procedural protections provided by the Eighth Amendment to the United States Constitution, which guarantees reliable procedures that protect innocent people from being executed, which would be an obvious example of cruel and unusual punishment. By the middle of the 19th century, "due process of law" was interpreted by the U.S. Supreme Court to mean that "it was not left to the legislative power to enact any process which might be devised. The due process article is a restraint on the legislative as well as on the executive and judicial powers of the government, and cannot be so construed as to leave Congress free to make any process 'due process of law' by its mere will." The term "substantive due process" (SDP) is commonly used in two ways: first to identify a particular line of case law, and second to signify a particular attitude toward judicial review under the due process clause. The term "substantive due process" began to take form in 1930s legal casebooks as a categorical distinction of selected due process cases, and by 1950 had been mentioned twice in Supreme Court opinions. SDP involves liberty-based due process challenges which seek certain outcomes instead of merely contesting procedures and their effects; in such cases, the Supreme Court recognizes a constitutionally-based "liberty" which then renders laws seeking to limit said "liberty" either unenforceable or limited in scope. Critics of SDP decisions typically assert that those liberties ought to be left to the more politically accountable branches of government. Courts have viewed the due process clause, and sometimes other clauses of the Constitution, as embracing those fundamental rights that are "implicit in the concept of ordered liberty". Just what those rights are is not always clear, nor is the Supreme Court's authority to enforce such unenumerated rights clear. Some of those rights have long histories or "are deeply rooted" in American society. The courts have largely abandoned the Lochner era approach (c. 1897-1937) when substantive due process was used to strike down minimum wage and labor laws in order to protect freedom of contract. Since then, the Supreme Court has decided that numerous other freedoms that do not appear in the plain text of the Constitution are nevertheless protected by the Constitution. If these rights were not protected by the federal courts' doctrine of substantive due process, they could nevertheless be protected in other ways; for example, it is possible that some of these rights could be protected by other provisions of the state or federal constitutions, and alternatively they could be protected by legislatures. the rights of "discrete and insular minorities". The Court usually looks first to see if there is a fundamental right, by examining if the right can be found deeply rooted in American history and traditions. Where the right is not a fundamental right, the court applies a rational basis test: if the violation of the right can be rationally related to a legitimate government purpose, then the law is held valid. If the court establishes that the right being violated is a fundamental right, it applies strict scrutiny. This test inquires into whether there is a compelling state interest being furthered by the violation of the right, and whether the law in question is narrowly tailored to address the state interest. Privacy, which is not explicitly mentioned in the Constitution, was at issue in Griswold v. Connecticut (1965), wherein the Court held that criminal prohibition of contraceptive devices for married couples violated federal, judicially enforceable privacy rights. The right to contraceptives was found in what the Court called the "penumbras", or shadowy edges, of certain amendments that arguably refer to certain privacy rights. The penumbra-based rationale of Griswold has since been discarded; the Supreme Court now uses the due process clause as a basis for various unenumerated privacy rights. Although it has never been the majority view, some have argued that the Ninth Amendment (addressing unenumerated rights) could be used as a source of fundamental judicially enforceable rights, including a general right to privacy, as discussed by Justice Goldberg concurring in Griswold. The courts have generally determined that laws which are too vague for the average citizen to understand deprive citizens of their rights to due process. If an average person cannot determine who is regulated, what conduct is prohibited, or what punishment may be imposed by a law, courts may find that law to be void for vagueness. See Coates v. Cincinnati, where the word "annoying" was deemed to lack due process insertion of fair warning. Incorporation is the legal doctrine by which the Bill of Rights, either in full or in part, is applied to the states through the Fourteenth Amendment's due process clause. The basis for incorporation is substantive due process regarding substantive rights enumerated elsewhere in the Constitution, and procedural due process regarding procedural rights enumerated elsewhere in the Constitution. Incorporation started in 1897 with a takings case, continued with Gitlow v. New York (1925), which was a First Amendment case, and accelerated in the 1940s and 1950s. Justice Hugo Black famously favored the jot-for-jot incorporation of the entire Bill of Rights. Justice Felix Frankfurter, however—joined later by Justice John M. Harlan—felt that the federal courts should only apply those sections of the Bill of Rights that were "fundamental to a scheme of ordered liberty". It was the latter course that the Warren Court of the 1960s took, although almost all of the Bill of Rights has now been incorporated jot-for-jot against the states. The latest Incorporation is the 2nd Amendment which made the individual and fundamental right to "keep and bear arms" fully applicable to the States; see McDonald v. City of Chicago, 561 U.S. (2010). The role of the incorporation doctrine in applying the guarantees of the Bill of Rights to the states is just as notable as the use of due process to define new fundamental rights that are not explicitly guaranteed by the Constitution's text. In both cases, the question has been whether the right asserted is "fundamental", so that, just as not all proposed "new" constitutional rights are afforded judicial recognition, not all provisions of the Bill of Rights have been deemed sufficiently fundamental to warrant enforcement against the states. Some people, such as Justice Black, have argued that the Privileges or Immunities Clause of the Fourteenth Amendment would be a more appropriate textual source for the incorporation doctrine. The Court has not taken that course, and some point to the treatment given to the Privileges or Immunities Clause in the 1873 Slaughter-House Cases as a reason why. Although the Slaughter-House Court did not expressly preclude application of the Bill of Rights to the states, the clause largely ceased to be invoked in opinions of the Court following the Slaughter-House Cases, and when incorporation did begin, it was under the rubric of due process. Scholars who share Justice Black's view, such as Akhil Amar, argue that the Framers of the Fourteenth Amendment, like Senator Jacob Howard and Congressman John Bingham, included a due process clause in the Fourteenth Amendment for the following reason: "By incorporating the rights of the Fifth Amendment, the privileges or immunities clause would ... have prevented states from depriving 'citizens' of due process. Bingham, Howard, and company wanted to go even further by extending the benefits of state due process to aliens." The Supreme Court has consistently held that Fifth Amendment due process means substantially the same as Fourteenth Amendment due process, and therefore the original meaning of the former is relevant to the incorporation doctrine of the latter. When the Bill of Rights was originally proposed by Congress in 1789 to the states, various substantive and procedural rights were "classed according to their affinity to each other" instead of being submitted to the states "as a single act to be adopted or rejected in the gross", as James Madison put it. Roger Sherman explained in 1789 that each amendment "may be passed upon distinctly by the States, and any one that is adopted by three fourths of the legislatures may become a part of the Constitution". Thus, the states were allowed to reject the Sixth Amendment, for example, while ratifying all of the other amendments including the due process clause; in that case, the rights in the Sixth Amendment would not have been incorporated against the federal government. The doctrine of incorporating the content of other amendments into "due process" was thus an innovation, when it began in 1925 with the Gitlow case, and this doctrine remains controversial today. In Bolling v. Sharpe 347 U.S. 497 (1954), the Supreme Court held that "the concepts of equal protection and due process, both stemming from our American ideal of fairness, are not mutually exclusive." The Court thus interpreted the Fifth Amendment's due process clause to include an equal protection element. In Lawrence v. Texas the Supreme Court added: "Equality of treatment and the due process right to demand respect for conduct protected by the substantive guarantee of liberty are linked in important respects, and a decision on the latter point advances both interests." When a law or other act of government is challenged as a violation of individual liberty under the due process clause, courts nowadays primarily use two forms of scrutiny, or judicial review, which is used by the Judicial Branch. This inquiry balances the importance of the governmental interest being served and the appropriateness of the government's method of implementation against the resulting infringement of individual rights. If the governmental action infringes upon a fundamental right, the highest level of review—strict scrutiny—is used. To pass strict scrutiny review, the law or act must be narrowly tailored to further a compelling government interest. When the governmental restriction restricts liberty in a manner that does not implicate a fundamental right, rational basis review is used. Here a legitimate government interest is enough to pass this review. There is also a middle level of scrutiny, called intermediate scrutiny, but it is primarily used in Equal Protection cases rather than in Due Process cases. The Court held in 1967 that "we cannot leave to the States the formulation of the authoritative ... remedies designed to protect people from infractions by the States of federally guaranteed rights". Critics of a substantive due process often claim that the doctrine began, at the federal level, with the infamous 1857 slavery case of Dred Scott v. Sandford. However, other critics contend that substantive due process was not used by the federal judiciary until after the Fourteenth Amendment was adopted in 1869. Advocates of a substantive due process who assert that the doctrine was employed in Dred Scott claim that it was employed incorrectly. Additionally, the first appearance of a substantive due process as a concept arguably appeared earlier in the case of Bloomer v. McQuewan, 55 U.S. 539 (1852), so that Chief Justice Taney would not have been entirely breaking ground in his Dred Scott opinion when he pronounced the Missouri Compromise unconstitutional because, among other reasons, an "act of Congress that deprived a citizen of his liberty or property merely because he came himself or brought his property into a particular territory of the United States, and who had committed no offence against the laws, could hardly be dignified with the name of due process of law". Dissenting Justice Curtis disagreed with Taney about what "due process" meant in Dred Scott. Criticisms of the doctrine continue as in the past. Critics argue that judges are making determinations of policy and morality that properly belong with legislators (i.e. "legislating from the bench"), or argue that judges are reading views into the Constitution that are not really implied by the document, or argue that judges are claiming the power to expand the liberty of some people at the expense of other people's liberty (e.g. as in the Dred Scott case), or argue that judges are addressing substance instead of process. I have not yet adequately expressed the more than anxiety that I feel at the ever increasing scope given to the Fourteenth Amendment in cutting down what I believe to be the constitutional rights of the States. As the decisions now stand, I see hardly any limit but the sky to the invalidating of those rights if they happen to strike a majority of this Court as for any reason undesirable. I cannot believe that the Amendment was intended to give us carte blanche to embody our economic or moral beliefs in its prohibitions. Yet I can think of no narrower reason that seems to me to justify the present and the earlier decisions to which I have referred. Of course the words due process of law, if taken in their literal meaning, have no application to this case; and while it is too late to deny that they have been given a much more extended and artificial signification, still we ought to remember the great caution shown by the Constitution in limiting the power of the States, and should be slow to construe the clause in the Fourteenth Amendment as committing to the Court, with no guide but the Court's own discretion, the validity of whatever laws the States may pass. Originalists, such as Supreme Court Justice Clarence Thomas, who rejects substantive due process doctrine, and Supreme Court Justice Antonin Scalia, who has also questioned the legitimacy of the doctrine, call a substantive due process a "judicial usurpation" or an "oxymoron". Both Scalia and Thomas have occasionally joined Court opinions that mention the doctrine, and have in their dissents often argued over how substantive due process should be employed based on Court precedent. Many non-originalists, like Justice Byron White, have also been critical of a substantive due process. As propounded in his dissents in Moore v. East Cleveland and Roe v. Wade, as well as his majority opinion in Bowers v. Hardwick, White argued that the doctrine of a substantive due process gives the judiciary too much power over the governance of the nation and takes away such power from the elected branches of government. He argued that the fact that the Court has created new substantive rights in the past should not lead it to "repeat the process at will". In his book Democracy and Distrust, non-originalist John Hart Ely criticized "substantive due process" as a glaring non-sequitur. Ely argued the phrase was a contradiction-in-terms, like the phrase green pastel redness. Originalism is usually linked to opposition against substantive due process rights, and the reasons for that can be found in the following explanation that was endorsed unanimously by the Supreme Court in a 1985 case: "[W]e must always bear in mind that the substantive content of the [due process] clause is suggested neither by its language nor by preconstitutional history; that content is nothing more than the accumulated product of judicial interpretation of the Fifth and Fourteenth Amendments." The perceived scope of the due process clause was originally different than it is today. For instance, even though many of the Framers of the Bill of Rights believed that slavery violated the fundamental natural rights of African-Americans, a "theory that declared slavery to be a violation of the due process clause of the Fifth Amendment ... requires nothing more than a suspension of reason concerning the origin, intent, and past interpretation of the clause". In New York, a statutory bill of rights was enacted in 1787, and it contained four different due process clauses. Alexander Hamilton commented on the language of that New York bill of rights: "The words 'due process' have a precise technical import, and are only applicable to the process and proceedings of the courts of justice; they can never be referred to an act of the legislature." ^ Madison, P.A. (2 August 2010). "Historical Analysis of the first of the 14th Amendment's First Section". The Federalist Blog. Retrieved 19 January 2013. ^ "Internet History Sourcebooks Project". www.fordham.edu. ^ "Avalon Project - Ratification of the Constitution by the State of New York; July 26, 1788". avalon.law.yale.edu. ^ a b "Bill of Rights: House of Representatives, Amendments to the Constitution". press-pubs.uchicago.edu. ^ Murray's Lessee v. Hoboken Land and Improvement Co., 59 U.S. 272 (1855). ^ Hurtado v. California, 110 U.S. 516 (1884). 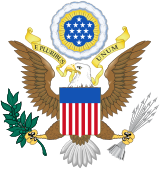 ^ Posadas de Puerto Rico Associates v. Tourism Company of Puerto Rico, 478 U.S. 328 (1986); see also Examining Board v. Flores de Otero, 426 U.S. 572 (1976) (applying equal protection to Puerto Rico). ^ a b Zadvydas v. Davis , 533 U.S. 678, 693 (2001) ("Although Mezei, like the present cases, involves indefinite detention, it differs from the present cases in a critical respect. As the Court emphasized, the alien's extended departure from the United States required him to seek entry into this country once again. His presence on Ellis Island did not count as an entry into the United States. Hence, he was 'treated,' for constitutional purposes, 'as if stopped at the border.' ... And that made all the difference. It is well established that certain constitutional protections available to persons inside the United States are unavailable to aliens outside of our geographic borders. ... But once an alien enters the country, the legal circumstance changes, for the Due Process Clause applies to all 'persons' within the United States, including aliens, whether their presence here is lawful, unlawful, temporary, or permanent."). ^ Plyler v. Doe , 457 U.S. 202, 210 (1982) ("Appellants argue at the outset that undocumented aliens, because of their immigration status, are not 'persons within the jurisdiction' of the State of Texas, and that they, therefore, have no right to the equal protection of Texas law. We reject this argument. Whatever his status under the immigration laws, an alien is surely a 'person' in any ordinary sense of that term. Aliens, even aliens whose presence in this country is unlawful, have long been recognized as 'persons' guaranteed due process of law by the Fifth and Fourteenth Amendments."). ^ Huston, Luther A. (18 May 1954). "High Court Bans School Segregation; 9-to-0 Decision Grants Time to Comply". The New York Times. Retrieved 6 March 2013. ^ a b Strauss, Peter (2007-08-06). "DUE PROCESS". Legal Information Institute. Retrieved 8 March 2013. ^ Jess Bravin and Kris Maher (June 8, 2009). "Justices Set New Standard for Recusals". Wall Street Journal. The Wall Street Journal. Retrieved 2009-06-09. ^ Herrera v. Collins, 506 U.S. 390 (1993): "We have, of course, held that the Eighth Amendment requires increased the reliability of the process by which capital punishment may be imposed." ^ a b "VITEK, CORRECTIONAL DIRECTOR, ET AL. v. JONES No. 78-1155 SUPREME COURT OF THE UNITED STATES" (PDF). Forensic Mental Health Services - Behavioral Health Network, Inc. Forensic Mental Health Services Behavioral Health Network, Inc. Retrieved 28 December 2012. ^ "Summary of VITEK, CORRECTIONAL DIRECTOR, ET AL. v. JONES No. 78-1155 SUPREME COURT OF THE UNITED STATES". Forensic Mental Health Services Behavioral Health Network, Inc. Forensic Mental Health Services Behavioral Health Network, Inc. Retrieved 28 December 2012. ^ a b c White, G. Edward (2000). The Constitution and the New Deal. Cambridge, MA: Harvard University Press. pp. M1 244–46. ^ White, G. Edward (2000). The Constitution and the New Deal. Cambridge, MA: Harvard University Press. p. 22. ISBN 9780674008311. ^ Hawkins, Bryan (2006). "The Glucksberg Renaissance: Substantive Due Process since Lawrence v. Texas" (PDF). Michigan Law Review. 105: 409, 412. Archived from the original (PDF) on 2007-06-15. ^ Troxel v. Granville, 530 U.S. 57, 65 (2000), (Kennedy, J., dissenting): "Pierce and Meyer, had they been decided in recent times, may well have been grounded upon First Amendment principles protecting freedom of speech, belief, and religion." ^ a b "New York Bill of Rights (26th of January, 1787)" (PDF). The People of the State of New York represented in Senate and Assembly. www.nycourts.gov. Retrieved 7 March 2013. ^ Williams, George. "The Federal Parliament and the Protection of Human Rights" Archived February 14, 2012, at the Wayback Machine, Research Paper 20 1998-99, Parliament of Australia (1999): "nations that had relied upon the common law tradition to protect rights ... have subsequently passed statutory Bills of Rights. For example, the United Kingdom Parliament has enacted the Human Rights Act 1998 (UK), while the New Zealand Legislature has passed the New Zealand Bill of Rights Act 1990. ... Parliament might move to protect a few core rights that are obviously regarded as basic and fundamental to Australian democracy. This should not include rights such as 'due process of law' in the Fifth and Fourteenth Amendments to the United States Constitution, which has a highly developed meaning in the United States context but no resonance in Australia." ^ Griswold v. Connecticut, 381 U.S. 479 (1965): "I do not mean to imply that the ... Ninth Amendment constitutes an independent source of rights protected from infringement by either the States or the Federal Government." ^ Congressional Research Service, Fourteenth Amendment: Rights Guaranteed: Procedural Due Process: Criminal: "practically all the criminal procedural guarantees of the Bill of Rights—the Fourth, Fifth, Sixth, and Eighth Amendments—contain limitations which are fundamental to state criminal justice systems and that the absence of one or the other particular guarantees denies a suspect or a defendant due process of law." ^ Amar, Akhil (1992). "The Bill of Rights and the Constitution". Yale Law Journal. 101 (6): 1193–1284. doi:10.2307/796923. JSTOR 796923. Archived from the original on 2008-10-19. ^ Hurtado v. California, 110 U.S. 516 (1884): "when the same phrase was employed ... it was used in the same sense and with no greater extent." ^ Letter from Roger Sherman to Simeon Baldwin (Aug. 22, 1789). ^ Chapman v. California, 386 U.S. 18, 22 (1967). ^ Hyman, Andrew. "The Due Process Plank", Seton Hall Law Review (forthcoming 2013), via SSRN. ^ Moore v. East Cleveland, 431 U.S. 494, 543 (1977), (White, J., dissenting). ^ University of Michigan v. Ewing, 474 U.S. 214 (1985) quoting Moore v. East Cleveland, 431 U.S. 494, 543 (1977) (White, J., dissenting). ^ Philip B. Kurland; Ralph Lerner. "The Founders' Constitution Volume 5, Amendment V, Document 13: Alexander Hamilton, Remarks on an Act for Regulating Elections, New York Assembly (6 Feb. 1787); See also: The Papers of Alexander Hamilton. Edited by Harold C. Syrett et al. 26 vols. New York and London: Columbia University Press, 1961--79, Volume 4, Page 35". The Founders' Constitution by University of Chicago Press and the Liberty Fund. Retrieved 7 March 2013.